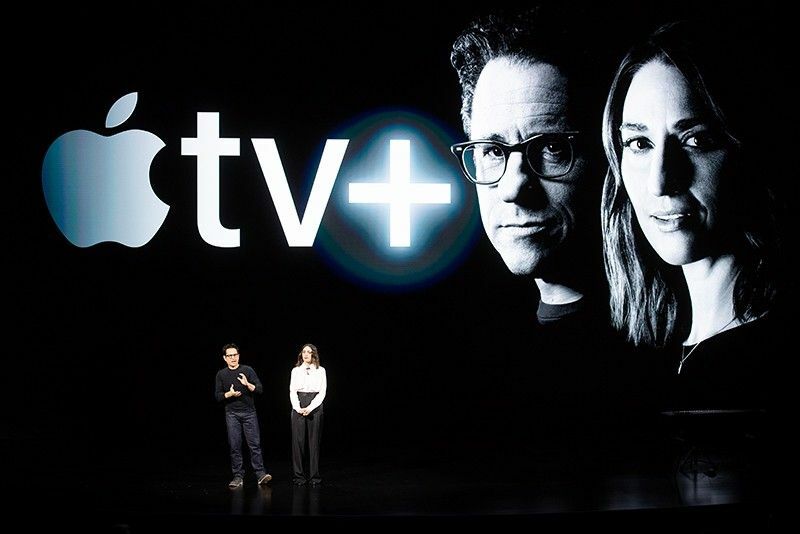 Filmmaker JJ Abrams and singer Sara Bareilles speak during an event launching Apple tv+ at Apple headquarters on March 25, 2019, in Cupertino, California. CUPERTINO, United States — With Hollywood stars galore, Apple unveiled its streaming video plans Monday along with news and game subscription offerings as part of an effort to shift its focus to digital content and services to break free of its reliance on iPhone sales. "These people could go where the money is, but they are going where Apple is," Creative Strategies analyst Carolina Milanesi said of the star power on display at the event. She expected Apple TV+ to be more of a channel at its streaming video service, similar to an HBO, than to be a "one-stop-shop" that would stand alone. Apple is aiming to leverage its position with some 900 million people worldwide who use at least one of its devices. But some suggested Apple's path may be harder than anticipated. "Getting audience for a TV platform is like orbital mechanics -- the only way to go up is to burn more fuel."